Small business owners who have less than perfect credit or are new to the credit world may want to consider obtaining a secured credit card. Secured credit cards typically offer cardholders the same capabilities as a credit card. However, your savings account is used as collateral if the account becomes delinquent and you are unable to make monthly payments. Although a vast majority of financial institutions do not carry these products specific to businesses, a few options are available. This MasterCard is designed for businesses looking to rebuild or establish credit. The credit lines range from $500 to $25,000, depending on the amount of the initial deposit. Upon approval, up to 10 cards per organization can be activated for employee use at any location nationwide that accepts MasterCard. It also offers an APR of 9.90%, which is an impressive deal considering the card type and rewards system. Cardholders are assessed a $25 annual fee in addition to the $50 rewards fee. To apply for the Wells Fargo Business Secured Credit card, visit the nearest Wells Fargo location or call 1-800-225-5935. The BBVA Compass Secured Visa offers an APR of 16.24% and caters to organizations that are in the process of strengthening their credit file. The initial deposit required is $500 and can be increased by increments of $100. This card offers many ways to save up to 15% on purchases through Visa Savings Edge. In addition, expenditures incurred on employee cards qualify for inclusion into the Compass Points Rewards Program that is offered free of charge. Each dollar earns one Compass Point, redeemable for a variety of items such as cash back, statement credits, gift cards, travel and merchandise. Points earned on an unlimited number of cards within each organization can be merged to increase redemption options. Although this card does not include an introductory offer or rewards program, account holders are still assessed a $40 annual fee. In addition, each card's available balance is only equal to 90% of total deposits. Overall, reviewers from Card Hub were not happy with this card and do not recommend it to others, as evidenced by the average overall rating from all consumers of 1.9 out of 5 points. To apply for the BBVA Compass Business Secured Visa Credit Card, visit a local branch. The Metro Visa Secured Business Card is designed for new businesses with less than two years of credit history. The available credit limits range from $500 to $25,000, depending on the amount of the initial deposit. An APR of 13.9% is offered, which is on the low side for a secured credit card. Unfortunately, this card does not come with an introductory offer or rewards system. Also, the annual fee is $45 per year. In addition, all accounts are assessed a minimum finance charge of $25 or 3% of the balance each month. This can make the card very expensive to possess if you maintain a balance. To apply for a Metro Visa Secured Business Card, call 877-MY-METRO Ext 7559. 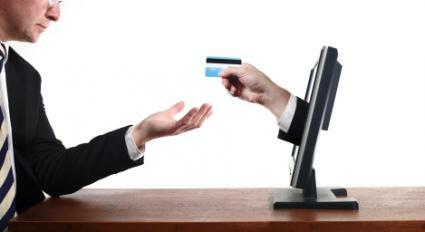 A secured small business credit card can be a good solution to obtaining credit for your business. Carefully review the options available to you before deciding which card is right for you.